Synopsis: yet another front end for the excellent PDFTK command line program. I checked this out because it appeared to be by the command-line program's developers and more recently updated than some other front-ends. Test results: Inconclusive. Couldn't get the program to run properly. Just opens with a box advertising the $4 "pro" version. No features could be tested nor settings modified. Leaving this in "Not Portable" for the time being. 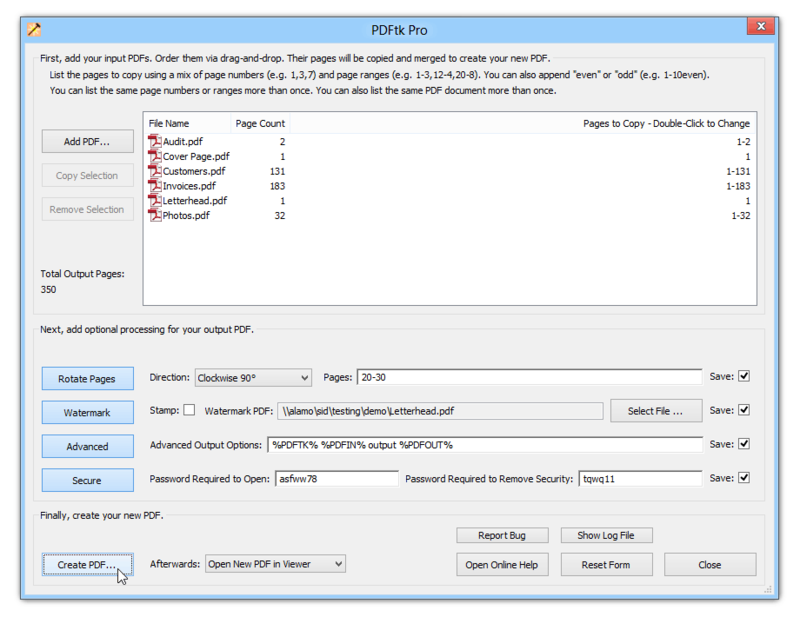 To join 2 or more .pdf files just add them and hit Create PDF. 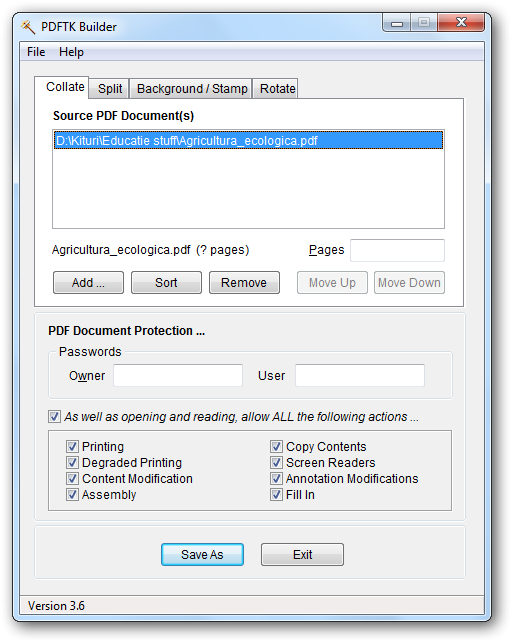 To extract pages, just write the desired page range in the Pages to Copy field. Couldn't figure out how to extract all the pages from a file (burst mode). The upside is that the Pro version is only 4$. Sigh. One day I'll start listing the website along with the programs I test. Eventually.